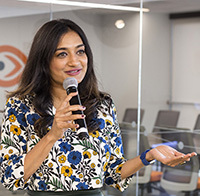 Archana Kesavan is a Director, Product Marketing at ThousandEyes, where she is responsible for product messaging, reporting on the health of the Internet and digging into the causes of outages that impact critical services, such as with the ThousandEyes Public Cloud Performance Benchmark Report, which she authored. Prior to ThousandEyes, Archana was a Product Manager at Cisco and Brocade, managing the service provider mobile portfolio. Archana holds a Masters degree in Computer Networking from NC State. Public Cloud Performance: Which Is the Right Cloud Provider for Your Business?